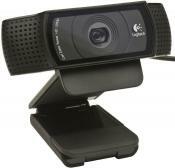 An irreplaceable webcam for conference holders with a swivel video pan for easy capture of the whole group. Full HD, expensive glass lens and a rich set of features make this cam a winner in our review. If the Internet connection is rather slow, the video on a screen in Full HD may frizz and distort. 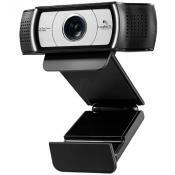 One of the best cams in the market for meetings and conferences! 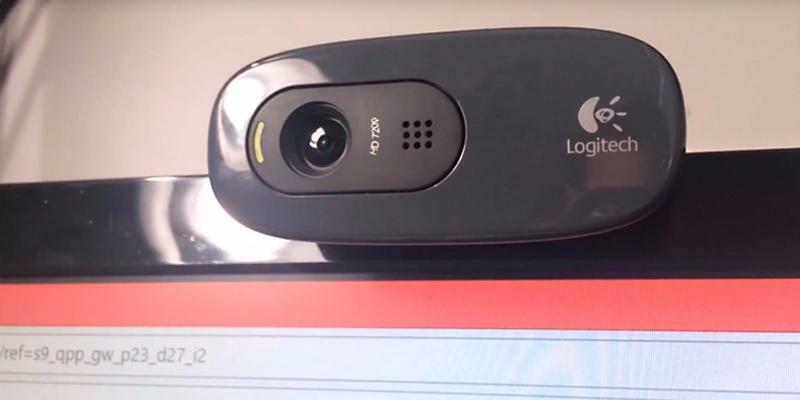 Perfect video quality and crystal audio clarity are guaranteed with this top-notch webcam from Logitech. Your videos are always going to be bright and crisp due to TrueColor technology. 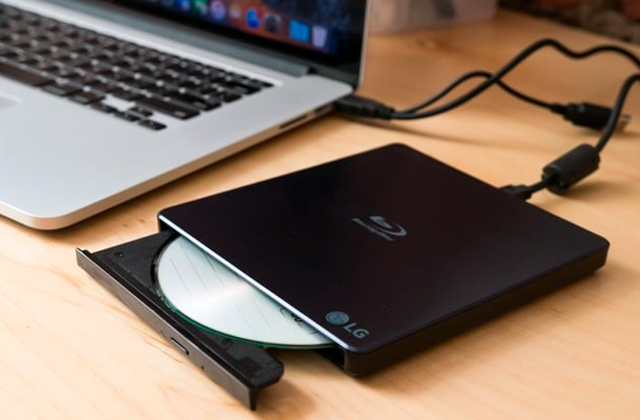 Attach it to any surface and record widescreen 16:9 videos with ease! The cam is going to work only on Windows platform. 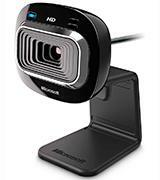 A simple and yet good USB webcam with a universal mounting and ability for use at home and in the office. 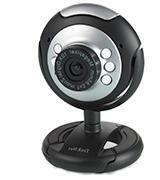 A decent Full HD webcam at an affordable price that can record high-quality videos in most lighting conditions. Full HD is good only for Skype. For the rest apps, you may need to change a resolution down to 720p. This is a mid-prized Full HD webcam with tech characteristics of more expensive models to record all bright and memorable shots of your life. 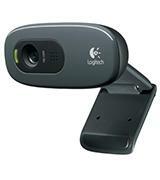 This Logitech webcam provides a great set of different functions and ensures excellent photo and video quality. 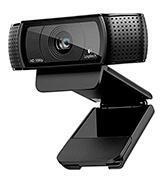 This is an inexpensive and reliable cam with all the functions required for streaming good quality video chats. 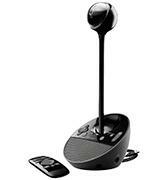 Delivers outstanding sounding and image resolution. 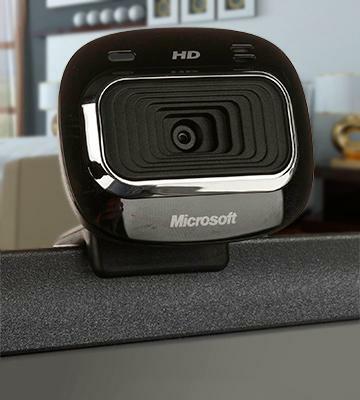 Best-selling HD webcam for basic home use without bells and whistles, but with all practical functions. Features a 5-layer glass lens for more accurate light transmission. Manual focus instead of automatic. Not a big issue, but a minor inconvenience that we’ve noted. 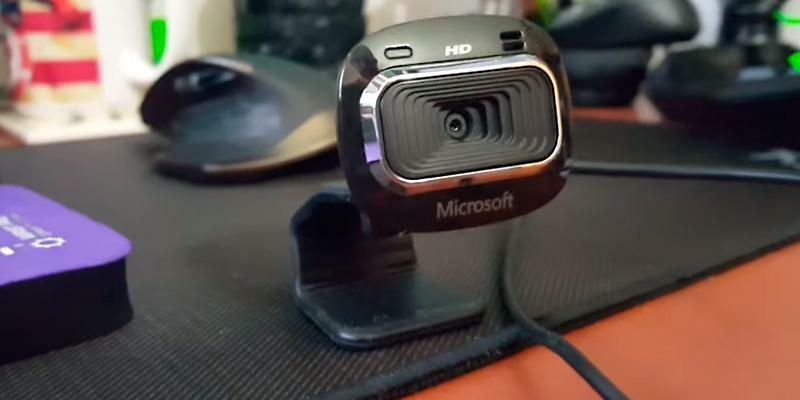 If you look for a simple and yet decent webcam for PC, it is a great choice. At a surprisingly low price, this cam stuns with its high performance. In everyday life of every business person, communication with business partners and colleagues has always been a part of a daily routine. Now, owing to advanced technologies, people don't face the necessity anymore of sitting at the same table to negotiate a project, make a deal, etc. 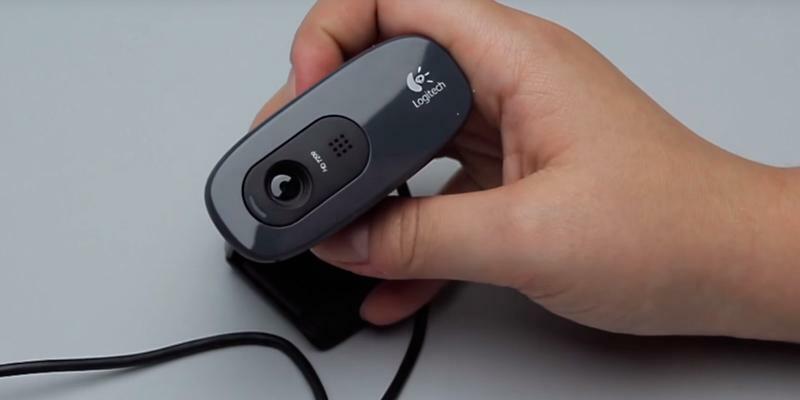 A webcam has come in a helpful device to help them conduct presentations and hold conferences remotely. Logitech BCC950 features an all-in-one design with a microphone and a loudspeaker so that there's no need to buy any other devices. 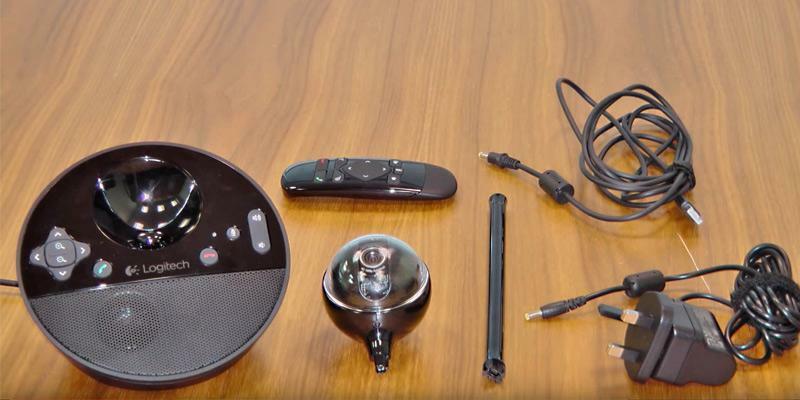 The included remote allows you to easily control the connection and adjust the settings. For more convenient conferencing, you can place a webcam head on a special extender at the optimal angle. It’s also worth noting that this model works on both Windows and Mac platforms and is compatible with virtually all video conferencing software, so there will be no difficulties with setting it up at all. 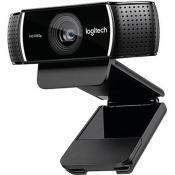 Talking about Logitech BCC950 webcam, its perfect design can't go unmentioned. The flawless optics with certified ZEISS® glass lens provides the perfect Full HD 30 FPS video calls. The webcam's field of view is 78 degrees, which makes conference video chats even more comfortable. 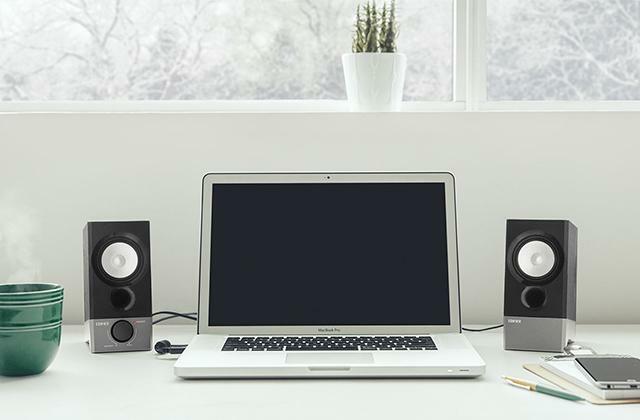 A speakerphone with 8-foot range guarantees perfect sound quality and relieves you of sticking close to the web camera. A remote is worth mentioning one more time as it's a rarity among webcams. It's designed to manage the calls by pressing answer/end buttons, adjust the volume, mute the audio, change pan, tilt, and zoom. Please, note: manual adjusting of the webcam's position can damage it. All of the above-mentioned facts make this webcam the right choice for corporate video chats. In fact, that's why Logitech developed it. The presentable design, attention to details, and absolute quality of every element - these are the characteristics that are valued by business people worldwide. For a successful presentation, a projector is a must. Take a look at this bright model by BenQ. Ideal for business meetings to show charts, videos or PowerPoint slides. 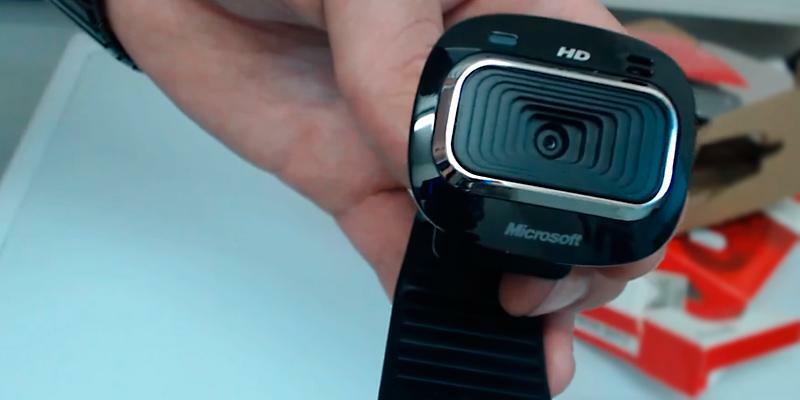 We would like to draw your attention to this amazing webcam HD-3000 by Microsoft. 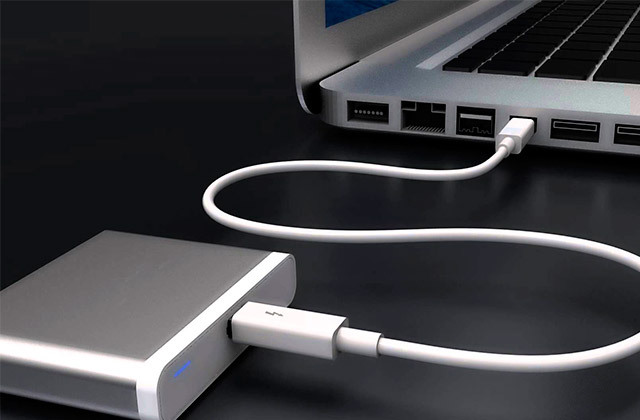 Owing to a rubber clip, you can easily set it up on a desktop, laptop, and notebook. 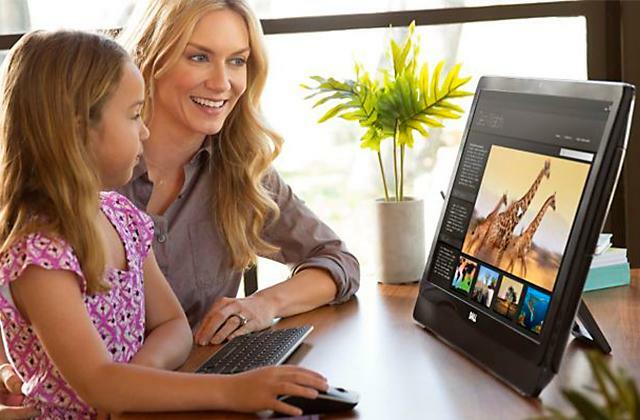 This product is Skype certified, so you will get the greatest picture and sound during video chats via Skype. You will definitely enjoy making videos at 1280 x 720 resolution and up to 30 FPS. TrueColour technology takes care of image when lighting conditions are bad: it automatically enhances the colour and brightness of the picture to ensure you are seen clearly. 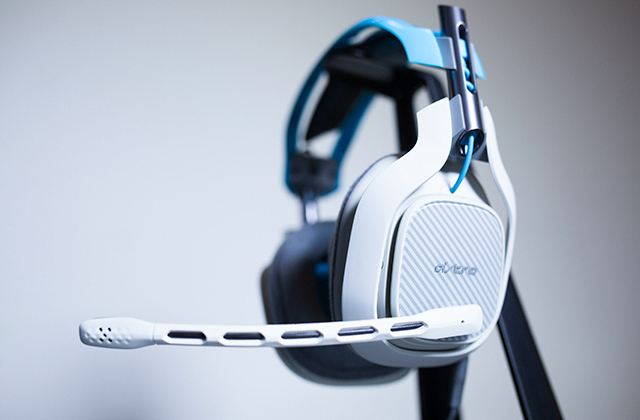 Speaking of the clarity, the webcam is equipped with a noise-cancelling microphone to filter unwanted sounds. 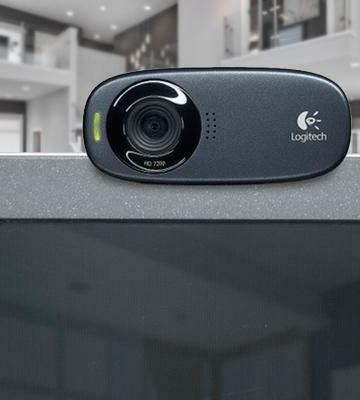 What is more, once you purchase the webcam, you get The LifeCam Dashboard software which you can use for adding animated effects to your videos, customizing the zoom and adjusting the picture's brightness. Also, you can easily upload photos to Windows Live Photo Gallery to share your favourite moments. 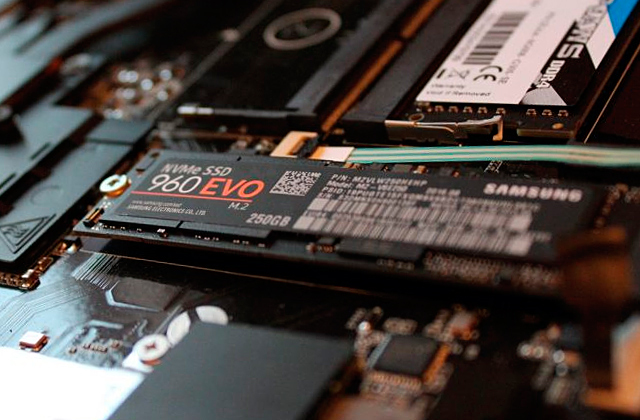 We think the company that has been supplying us with high-quality software and devices for decades, deserves a deeper look at its history. Here are some facts you might not know about this corporation. The company was founded by childhood friends Paul Allen and Bill Gates in 1975. Since 1986, the headquarters of the company are situated in Redmond, Washington. The company’s name is a short combination of the words "microcomputer" and "software". In 1998, photographer Charles O’Rear took a picture of a green hill and a blue sky in Sonoma County, California, which we all know as the default Windows XP background "Bliss". Microsoft is one of the largest corporate collectors of artworks. The huge collection contains over 5,000 pieces from contemporary artists. To get a job at Microsoft is quite challenging. Interviewers love asking off-the-wall questions, like "Why is a manhole cover round?" to see if a candidate can answer questions with a creative approach. Also, applicants have to be ready to solve logic puzzles and think through imaginary issues. 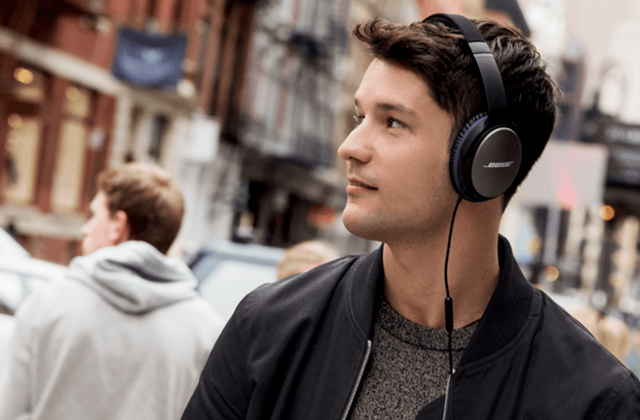 Communication via the Internet will become more enjoyable thanks to this lightweight, comfortable, and affordable headset by Sennheiser. While examining a product of such a reliable computer peripheral company, we’ve never brought the quality into question. Well, the first thing that turned our attention was the number of megapixels. 15 million points together with a neat glass lens enables Full HD video calling & recording to bring customers enjoyable experience. Please, note: to get maximum 1080p resolution during video calls, you should use Skype latest version. Yet other apps provide up to 1280 x 720 pixels, which is also a very good parameter. Stereo microphones with noise reduction doubly ensure that you are heard clearly. 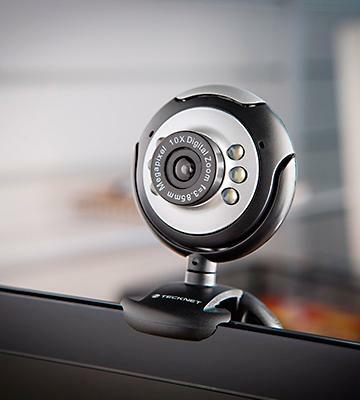 Concerning conveniences, thanks to an adjustable clip, you can easily mount the webcam on a computer, laptop and even on a desk. Note that on purchasing an additional tripod, you can really extend the flexibility and mount your device everywhere within 6 feet distance (that’s how long the webcam’s cable is). 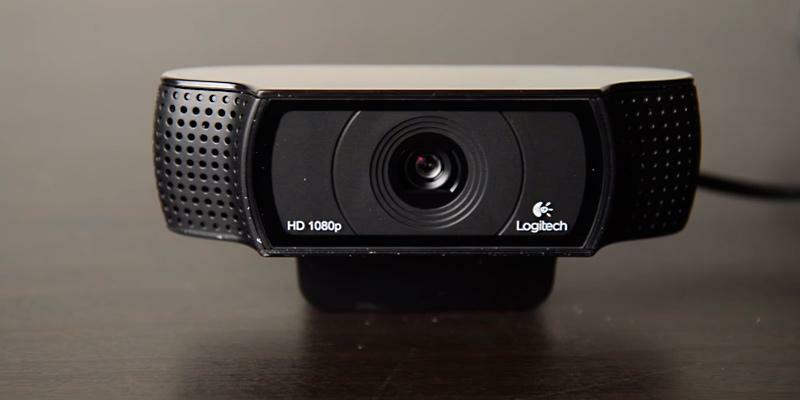 All in all, you will definitely love high-quality video and versatile installation options this Logitech HD Pro C920 webcam provides. 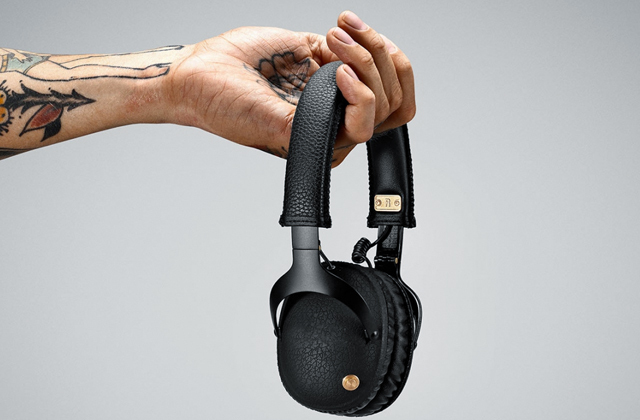 Besides producing high-quality output, Logitech is also well-known for its warranty service. Even if you happen to lose a sales cheque, the warranty will be still valid. All you need is to tell a support manager over a phone a serial number of your device and that would be enough to claim for webcam replacement. In some cases it's even possible to get a brand new product instead of the one that could have been shipped with a defect to a customer. So, that's how amazing Logitech support is and that's how confident its customers feel when buying from them. This professional tripod is made specifically for Logitech Webcam C920 to position it at the optimal angle on any surface you need. Simplicity and quality are what make this web camera so much attractive to customers worldwide. After a quick installation, you will feel free to experience the joy of cyber communication. 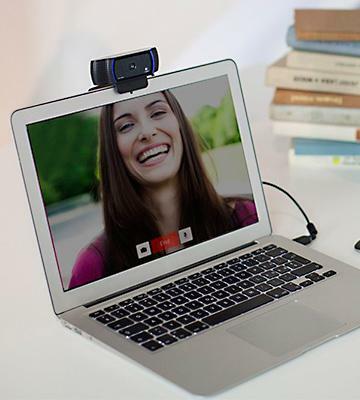 The webcam is compatible with all popular messaging applications such as Skype, Google Hangouts, Yahoo, Messenger, and others. Don't be misled by the fact that its quality is only 3 megapixels – you will be totally satisfied with good video and photos. 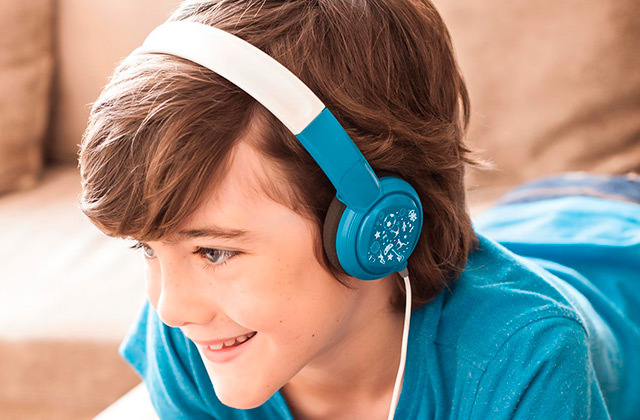 Thanks to Logitech Fluid Crystal Technology, your video will be smoother with richer colours and clearer sounds. Plus, Logitech developed special software (available at logitech.com/downloads) which can improve picture quality even more: RightLight option comes in handy when lighting conditions are poor, and RightSound ensures that the background noises are reduced to none. Also, you can make your chats much funnier by sharing the effects from Logitech Video app and adding animated avatars and faces between the lines with your friends. In 1981, when personal computers evolved into mass-market devices, Giacomo Marini and two Stanford alumni, Daniel Borel and Pierluigi Zappacosta, founded their own company in Apples, Switzerland. The production started with computer mice which made the company extremely popular. By 2008, the company had produced over one billion computer mice. After a while, of course, the range of products became more and more diverse, and now Logitech supplies us with keyboards, web cameras, speakers, headsets, gamepads and other devices. Today, the Logitech trademark is well-known all over the world, except for Japan where the company is recognized by the Logicool name. If you'd like to replace your old keyboard with a new one, take a look at Logitech Keyboard K120 that provides comfortable and enjoyable typing experience. In you're not hunting for nifty features and all that matters to you is a good quality video and a fair price of the cam, then Tecknet C016 is what you’ve been looking for. You'll definitely be surprised with the sharp and colourful HD video and good sound this webcam delivers. To solve the problem of lightning, the manufacturer has fitted the cam with 6 LEDs so that your face never looks shadowed on a screen. Thanks to a focus ring, you'll be able to make flawless pictures; a manual focusing is commonly considered more reliable. 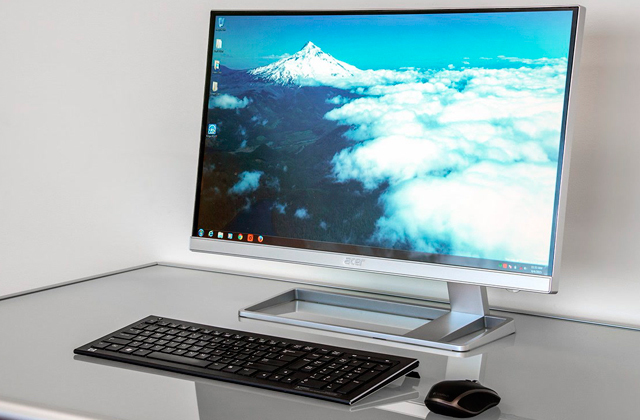 The universal stand can be clipped onto your monitor or can be folded to a stand position. 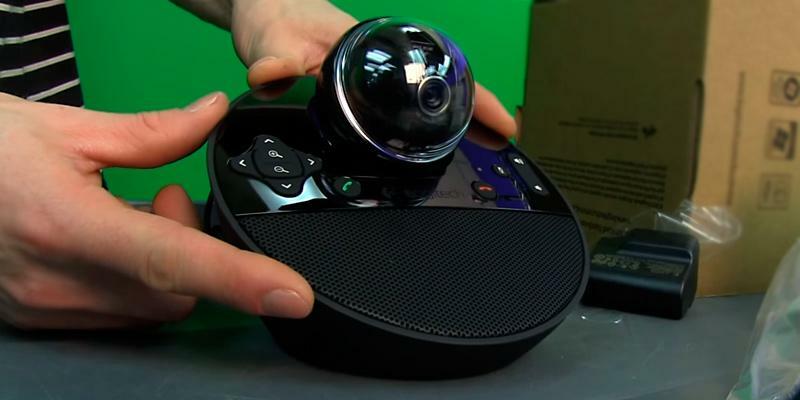 360° rotation and 180° tilt allow setting the webcam as you wish. To sum up, Tecknet C016 is a great solution for those who value simplicity above all. And note that no software installation is required! Just plug the webcam in and go ahead video calling. It’s a common knowledge that laziness drives all progress, and webcam’s development is another proof of that. Back in 1991, University of Cambridge researchers set up a camera in the main computer laboratory. This camera was pointed at the coffee pot to take pictures every few seconds and send them to the computers. The thing is, there was only one coffee machine for 15 researchers who worked on different floors. Imagine how disappointed they got, having walked down several flights of stairs just to find out the coffee pot had been already emptied. So, the whole idea was to let those people monitor the coffee machine and save them vain trips up and down. TeckNet 7.1 Channel Surround Sound Headband! - This is what a true gamer can't live without. 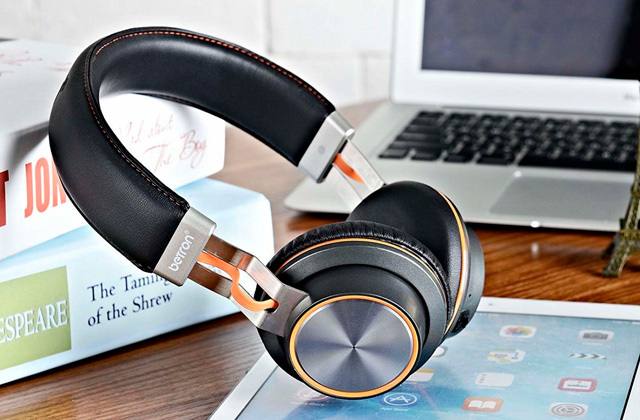 Dolby headphones provide great sound and the microphone ensures noise cancellation to dip you into the might atmosphere of the fantasy world. Would you ever believe that it would be possible to communicate with your friends, relatives or colleagues from abroad in a real time mode and see them just as if they were right in front of you? With the invention of a webcam, it’s become a reality. Most applications today (both computer and mobile) offer their users an opportunity to video call the contacts from their list and shorten the distance between each other by times in a single click. 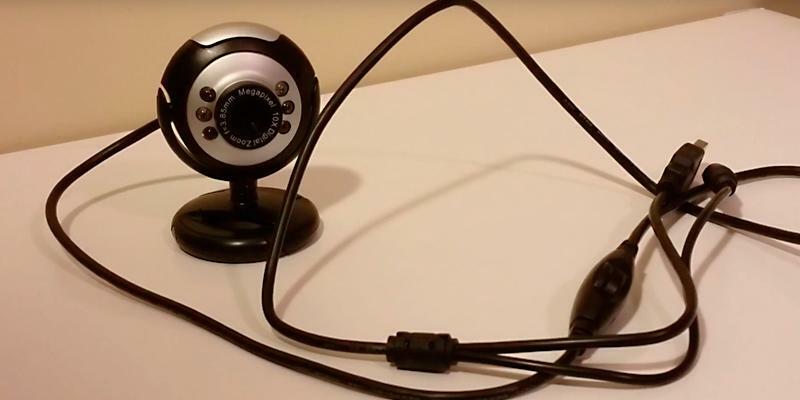 All you need to have is a device to install a webcam (in case with smartphones, installation is not required) and a decent camera. 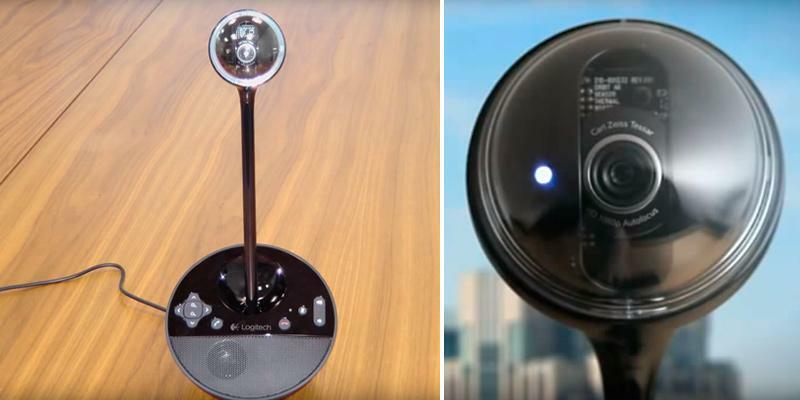 In our review of the best webcams, we’ll show how various models differ and how to make the right choice. 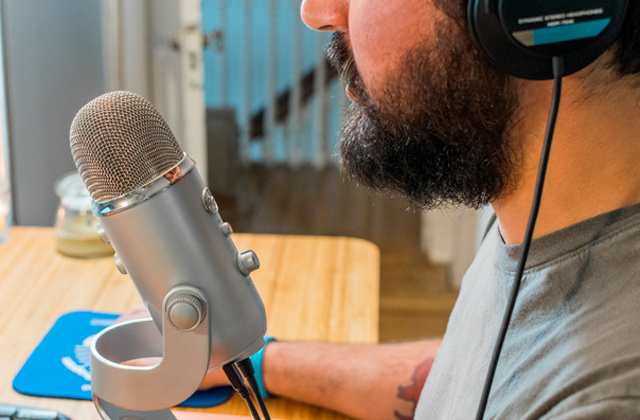 If you want to hear your interlocutor clearly during video conversations, pay attention to our Computer Speakers or Gaming Headsets review. Matrix Resolution stands for picture clarity and its sharpness. When they talk about resolution, what they really mean is a number of horizontal and vertical pixels on a display. The more pixels there are in the image, the sharper it's going to be. This is where you may want to turn your eye to a cam with at least 3 megapixels so the image on a screen looks pretty clear and visually defined. 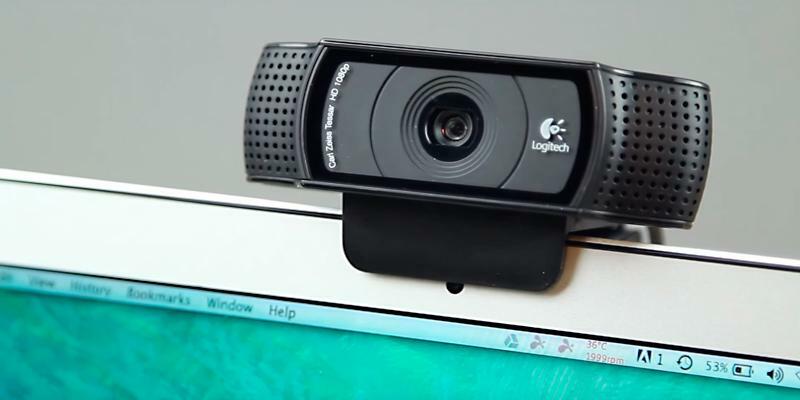 Today, most popular webcams offer 1280 x 720 (HD) resolution. It’s not an ideal picture, but quite satisfactory when viewed as a thumbnail. The perfect picture quality is guaranteed with 1920 x 1080 (Full HD) resolution. Those consumers who look for true quality and outstanding picture sharpness should not compromise and go for Full HD, no doubts. The only thing you need to be aware of is that without having the proper high-speed Internet the pictures of the kind may frizz and get distorted. Frame rate determines the smoothness of pictures and is expressed in FPS (abbreviated from Frames Per Second). The higher the frame rate is, the smoother the picture is going to be. What values should you look for? Well, the optimal rate is measured at minimum 30 FPS so you can start from there. Photo Quality (measured in megapixels) will tell you how good or bad your pictures are going to be. In the end, the camera is oftentimes used for taking shots, not only videos, and this parameter shouldn't be overlooked just as well. The Lens Quality also matters. Quite often, instead of expensive lenses, they use a plastic optic, that not only cuts down the price of the model but also worsens the picture quality by times. Plastic lenses don’t transmit as much light as glass lenses do, and often turn dark in the course of time. 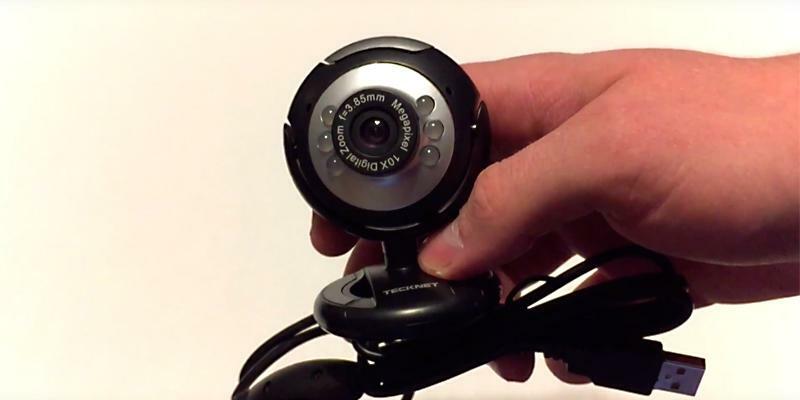 If you look for a long-lived webcam, you should definitely check out what type of lens they use in a cam and preferably, go for a glass option. Yes, it would cost you a little bit more, but it’s also going to last considerably longer. 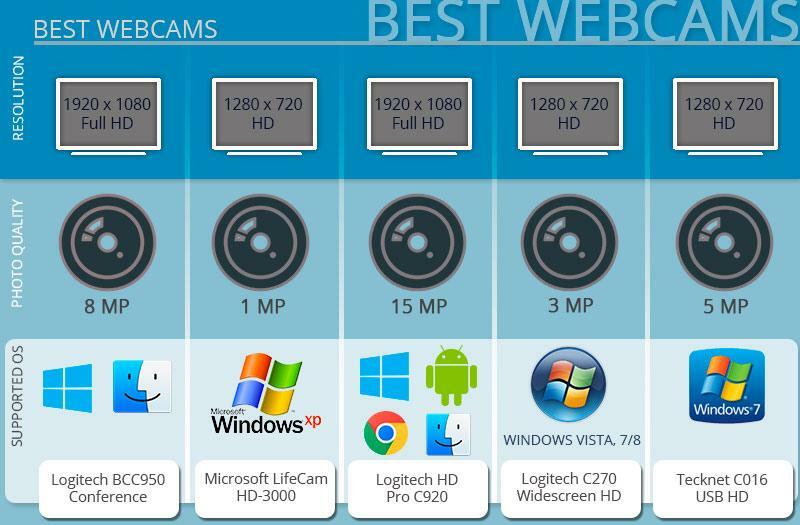 When you’ve decided on resolution, frame rate and lens quality, make sure to check what else a webcam can offer. Functional Capabilities will introduce you to the type of connection as well as the whole functional of a cam, including all its nifty features and functions like Editor, Face detection, Light correction and more. The scope of functional capabilities varies in different models, so you should not overlook this aspect and go for a cam with the best available opportunities. The last but not the least criterion that you should pay attention to is Design of the chosen cam. Quite often it is the design that becomes a crucial and decision-making factor for most consumers. Not everyone buys a cam for home use only. If you plan to use it for making online presentations or video courses to broadcast on the Internet, it’s got to provide you with flexibility options and the optimal angle for video capture. 1. Paul Sanders How to Choose a Webcam, Overstock. 6. Damian Erskine Choosing the Right Webcam in the Youtube Era, No Treble. April 25, 2012. 7. Nicole Cozma How to record your webcam with VLC, CNET. November 24, 2014.